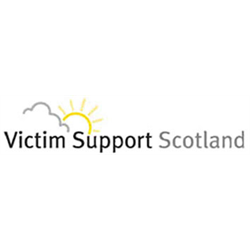 Victim Support Scotland is the lead voluntary organisation in Scotland helping people affected by crime. It provides support, practical help and essential information to victims, witnesses and others affected by crime. The service is free, confidential and is provided by trained volunteers through a network of community based victim services and court based witness services. As a member of the Performance and Quality team and reporting to the Head of Performance and Quality, your role is to support the development, delivery and embedding of relevant strategies to build a VSS culture, that aligns to our values and aims and will achieve sustained high performance. Working within agreed organisational and statutory frameworks and regulations, you will report on the organisational performance in terms of achieving our overall objectives, Health and Safety policies and procedures, GDPR requirements, relevant governance policies and procedures and relevant quality and audit systems. You will promote continuous learning and development through robust organisational performance reviews. This is a newly created post which will focus on the engagement and participation of Volunteers with VSS. Our Volunteers are at the heart of VSS providing our highly valued services for victims and witnesses affected by crime and this role will identify improvements to the volunteer journey by enhancing volunteer recruitment, engagement, learning & development and service delivery to ensure that we have in place the wide range of tools, skills, knowledge and expertise to support all victims and witnesses of crime. Reporting to the People Development Business Partner you will also support the accreditation of VSS volunteers across Scotland. You will work closely with VSS colleagues in service delivery to ensure that volunteers are being supported and deployed to best meet the needs of service users. You will be required to work closely with other agencies, developing links and networks across the statutory and voluntary sector to ensure the provision of appropriate services are available to meet the needs of the victims and witnesses. You will be required to keep relevant databases up to date and ensure that volunteer training is kept refreshed. You will contribute to the implementation of VSS’s vision, strategy and plans in order to help VSS reach more victims across Scotland. VSS are pleased to release these new and exciting roles to join the senior leadership of the organisation. These roles have been specifically created to meet the aims of our strategy, &apos;Victims and Witnesses First&apos;, and they are an opportunity to join a new and dynamic team who are committed to leading the organisation to develop and deliver new ways of working to meet the changing needs of those affected by crime, all over Scotland, over the next 3 to 5 years. As a member of the Corporate Leadership Team (CLT) and reporting directly to the Director of Operations & New Business Development, you will lead the IT team and be responsible for helping VSS transform the customer management, communications channels and analytics of our business. You will be responsible for the strategic planning, management and development of VSS’s IT infrastructure, corporate website and reporting across all digital channels. You will line manage the CRM Officer and the IT Officer and your team will be largely focussed on providing and maintaining a secure and up to date IT infrastructure for the whole organisation and developing digital technologies. You will support the organisation to understand how these will help improve service delivery, raise VSS’s profile, gain supporters through an adoption strategy and help VSS reach more people who need support. Digital is key to VSS’s future and this is a high-profile role within the organisation. You will support VSS’s digital transformation and raise awareness of VSS’s work by engaging and influencing stakeholders at all levels. An important part of your role will be to proactively identify opportunities for other VSS departments to integrate digital into their current and upcoming work streams and projects. You will also be responsible for liaising with the external contractors that VSS rely upon for an efficient and effective ICT service across all channels. This is an exciting opportunity to join a new team being formed to progress performance and quality to achieve strategic goals and improve services for victims and witnesses affected by crime. The role of the Data Analyst & Management Information Officer will provide senior management and board members with detailed information to ensure VSS continues to achieve outcomes identified in our strategic plan. This role will ensure the organisation’s day-to-day data protection compliance and also will support various initiatives by providing evidence based information. You will play a key role in developing and implementing data collection and management information systems for VSS, which optimise statistical quality and efficiency. Your role will include creating, analysing and maintaining data-sets as well as any information from secondary sources and producing reports based on this information. You will liaise closely with the National Homicide Service as they support victims and witnesses, collecting extremely sensitive data that will help inform VSS’s strategic development and act as the organisation’s GDPR lead ensuring that the organisation and its suppliers handle personal and sensitive personal data appropriately. As a member of the Corporate Leadership Team (CLT) and reporting directly to the Director of Operations & New Business Development, you will be responsible for leading on VSS’s external affairs, including strategic policy and influencing, communications and marketing. You will be supported by and will line manage the Marketing & Communications Officer. You will be responsible for building strategic external partnerships that deliver and align with VSS’s corporate strategy, goals and core values and enable VSS to deliver its vision and reach more people affected by crime. You will be pivotal in leading, building and developing the marketing and communications function and developing and implementing an influencing and communications plan encompassing external policy and influence, as it relates to VSS. This post will be subject to a Basic Disclosure Check. This is an exciting opportunity to join a new team being formed to progress performance and quality to achieve strategic goals and improve services for victims and witnesses affected by crime. The role of the Service User Participation & Research Officer will work closely with Operations and New Business to enhance the victim centred approach for service delivery. This role will assist in the development of systems to measure and evaluate the impact of our services and will also support various initiatives ensuring all victim groups are represented. VSS aims to encourage service user participation in all areas of our organisation. You will be responsible for leading on researching how victims and witnesses of crime are identified and supported across Scotland, ensuring that no group affected by crime is marginalised or unrecognised. This will involve you working with others to influence those responsible for criminal justice. This post will be subject to a PVG check. To help achieve this mission, VSS have designed and will implement a new National Service: Supporting Families Bereaved by Crime from 1st April 2019. As a member of this team and reporting to the National Co-Ordinator, the role of Key Support Worker will be to provide comprehensive support to families bereaved by murder or culpable homicide. This will involve providing structured social support, practical support, information, liaising with other justice and community organisations, supporting the family as they interact with the criminal justice system and helping them to reach a new balance in their lives after trauma. As this is the implementation of a new national service, you will play a key part in the ongoing evaluation, development and improvement of the service. You will work closely with Police Scotland and representatives from the Crown Office and Procurator Fiscal Service. The location of the new service is currently based within our Glasgow office with support delivered all over Scotland. To support the implementation, development and delivery of the national service, it will be a requirement of the role to attend the Glasgow office up to 3 times per week initially to meet the needs of the service. This may change as the service is implemented, however, it is important to note this requirement at this stage. Travel to all parts of the country will be required in order to support families at appropriate locations to best meet their needs. This may involve travelling out of hours with limited access to public transport. A current, clean driving licence is therefore essential to the post.